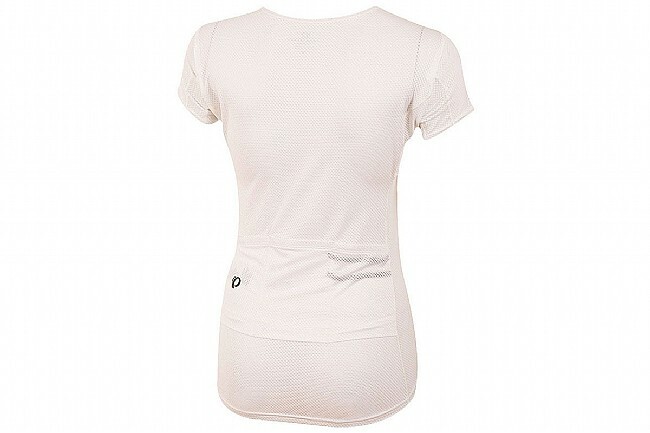 Whether you're getting ready for your day's commute or packing up for a long ride in the heat, the Pearl Izumi Women's Cargo Baselayer is the perfect choice for staying cool on blisteringly hot days. Crafted from the lightweight airy Direct-Vent mesh fabric, the harder you're cranking away on your pedals the more ventilation you get. Sitting close to the skin to wick away perspiration and expedite evaporation, this baselayer fits equally well under a fitted jersey or a tee shirt. 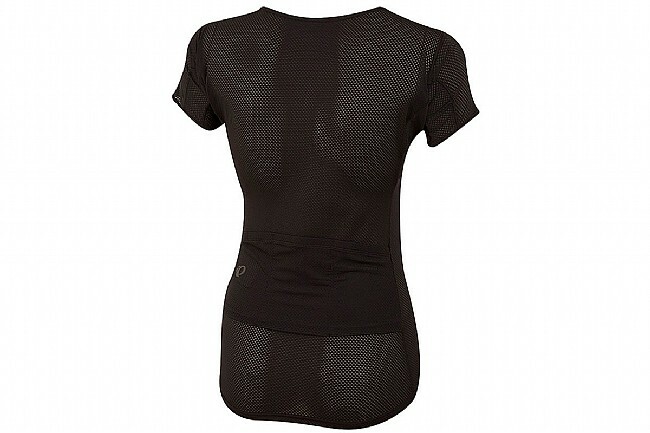 Designed with Pearl Izumi's anatomic Speed Sleeves, the baselayer is fit to the body in the riding position to provide freedom of motion and eliminating pinching or chafing. Adding a bit more functionality, this baselayer features 3 rear pockets to add more cargo storage for extra long rides, or keep the daily essentials close at hand on your commute. Fitted design wicks perspiration, using it to keep you cool. Airy Direct-Vent mesh is lightweight and well ventilated. Speed Sleeve construction is contoured to the body in riding position.